Planning up for a regional trip or nearby international destination? 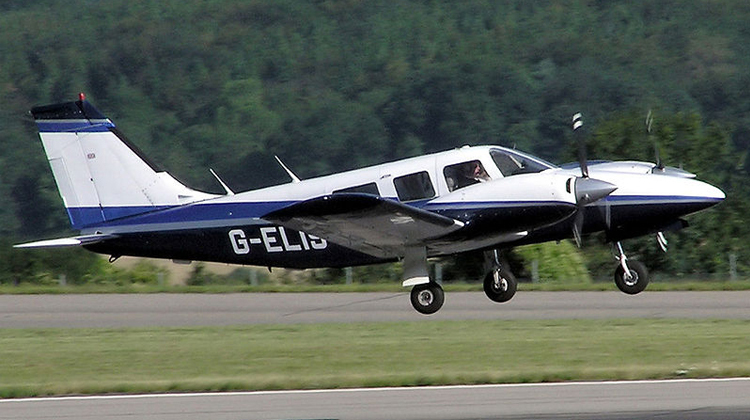 Then it would be quite a practical idea to charter for a private Piper PA34 Seneca. This aircraft can seat up to 5 passengers. If you’re coming from Toronto, Canada, you can reach as far as Manitoba or Arkansas, USA via this plane. Did you know this unit can fly from or to smaller airports? This means you’ll have more options to take off from and land to. You can even choose to arrive at the airport nearest your intended location when on board this plane. Another standard feature you can find on this aircraft would be a WiFi connection. With internet access, you can get in touch with your friends, family and professional networks even while flying. Know more about the specifications of this aircraft and charter for your very own flight today. The Piper PA34 Seneca has comfy and practical passenger seats which are quite sufficient for sightseeing and quick trips. It even has wide and sufficiently distributed windows where travelers can appreciate the sceneries which the plane will fly over. Now you can take awesome breathers and see the landscapes, mountains and cities which you’ll be flying by. This is an especially delightful quality for flying enthusiasts. Another plus factor of this aircraft would be its luggage compartment. This facility lets you bring your presentation materials or getaway essentials without having to accommodate them in the plane’s cabins. 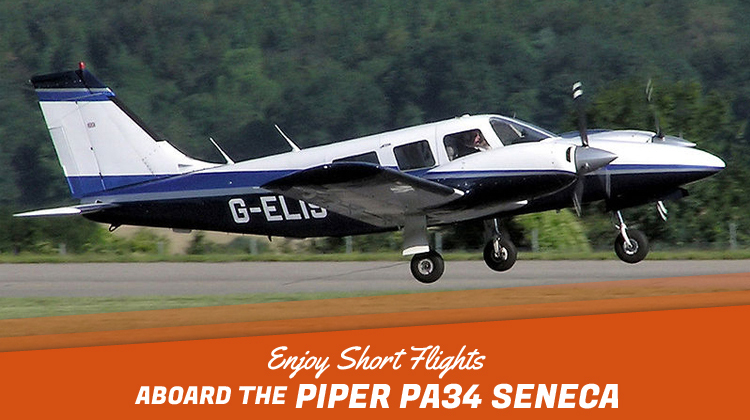 Short haul flights are more fun when spent on board the Piper PA34 Seneca. Given its flying pace this aircraft is quite ideal for sightseeing and business trips. Entrepreneurs can certainly take delight and quick breathers throughout their hour-long flights on this aircraft. Will you also happen to max out the flying range of this aircraft? If so, it would be safe to inquire about this aircraft’s allowable passenger count and luggage weight. Given your intended location, routes and flight schedules, a lighter aircraft lets you reach farther destinations within much faster paces. Manufactured by Piper Aircraft, the Piper PA34 Seneca had its first flight in 1967. It currently has 6 variants, and this aircraft particularly became an inspiration in developing the Embraer EMB-810. The Piper PA34 Seneca currently has over 5,000 units produced and being flown around the world. Some of its major operators include Brazil, Serbia, Panama, Honduras and Ecuador. This aircraft also has the Beechcraft Baron and Cessna 310 among its direct competitors.